Vampires Put the Bite on Other Monsters! Twilight. True Blood. The Vampire Diaries… and on BBC, Being Human. All popular movie or television series, most based on books of the same flavor. Apparently there’s not yet enough blood flowing; a U.S. version of Being Human is in development. Always a classic for Halloween, vampires are now also popular in gaming, cosplay and visual entertainment. But fangs aren’t just for grownups any more. 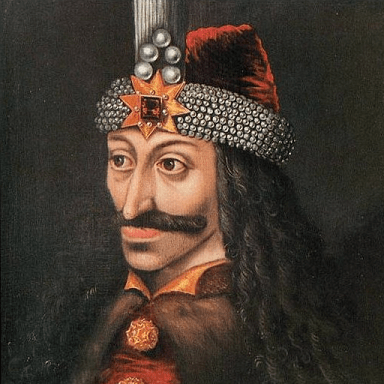 Vampires have gone from being evil, bloodthirsty killers (Vlad the Impaler, Elizabeth Bathory) to literal bloodsuckers (Dracula, Nosferatu.) They had no remorse, no “moral code,” they were simply hunters, and humans happened to be their prey. In recent popular vampire lore, the “emotions” in vampire characters range from nonexistent to practically paralyzing. Barnabus Collins of Dark Shadows (late 60s) had issues exsanguinating his friends. In Interview with the Vampire (based on Anne Rice‘ novel), a bit of humanity also came into play. From there, vampires’ human sides began to have more influence over their behavior. Rather than being driven only by lust for blood and flesh, bits of guilt and indecision had more influence. Today’s True Blood, the Twilight series, and The Vampire Diaries all feature creatures of the night that often wish they were still human. They fight their natural tendencies, and teach their “children” to do the same. Popular children’s characters have also “cutified” vampires (The Count from Sesame Street; Count Chocula). And the kids that grew up with these non-monstrous versions have no trouble identifying with, and swooning over, current vampire characters. Whatever style vampire you may want to fashion yourself after, there is one thing they have in common. FANGS. Some dracula fangs are placed over the pointed canine teeth; others over the incisors – and some over both. Regardless of where you think they should be worn, you will want them to stay in place. We used to sell less expensive teeth, but had customers bringing them back, saying that they didn’t stay in well. Now we offer only the best fake vampire fangs on the market, tested and approved by our own staff and countless customers over the years. When you decide to buy fangs, expect to pay at least $15 for a pair. Otherwise you are likely to get some that may look nice in the package, but won’t stay in your mouth.